Home Tops and Comparisons Adblock Plus vs. uBlock Origin: Which one is for me? Let’s take a closer look at the similarities and differences between them. 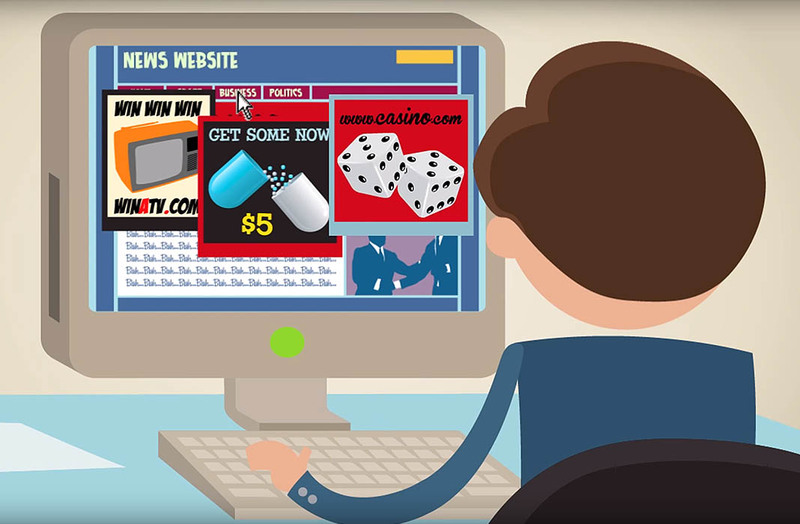 If you don’t already have an ad blocker installed, here are a few reasons why you should. It looks like 2018 will be the year that the mainstream finally validates ad blocking. Hundreds of millions of users have taken control of their browsing experience already. The big internet players are listening. Even Google introduced an “ad filter” this year. While not effective and potentially self-serving, it is a tacit admission that ad blockers are here to stay. • Ads are irritating for the most part. Popping up, hijacking your browser, autoplaying and otherwise ruining your browsing experience. • Ads can contain malware… It sounds crazy, but it’s true. Malvertising is an easy way to get malicious code into reputable websites. This can then infect your computer without you knowing. If we only think about the above, it’s pretty important for everyone to be using an ad blocker. The next question is then, which one to choose? There are many available, but we’re going to focus on the two big hitters, Adblock Plus (“ABP”) and uBlock Origin (“uBO”). We want to start by saying that both of these ad blockers are very, very good at what they do. They are both open-source projects, designed to make your web experience better. Let’s take a closer look at the similarities and differences between them. uBlock Origin calls itself a “wide-spectrum blocker”, but most people still use it as an ad blocker. It does block a lot, straight out of the box, with no user interaction necessary to get the full experience. It blocks connections from a significant amount of 3rd-party servers by default. uBlock is customisable if you know what you’re doing, but this may lead to broken websites. Adblock Plus blocks slightly less by default, but there is a reason for this. The default mode for ABP allows Acceptable Ads. As defined by ABP, Acceptable Ads don’t ruin your user experience. They do however provide revenue for publishers, keeping websites free). Having Acceptable Ads means that ABP isn’t quite as fast as uBlock, but on a newer machine you’re unlikely to see much difference. ABP is also customisable. You can add your own filter lists and disable Acceptable Ads if you want a totally ad-free experience. uBlock Origin touts itself as an “efficient blocker”. This is indeed true, but the difference to other ad blockers, including Adblock Plus, is negligible. Generally, installing an ad blocker will always lead to faster CPU and browsing speeds and improved battery usage. For ease-of-use, there isn’t much between the two. Both sit in your chrome extension bar, and have a small drop-down menu on click. uBlock Origin shows the amount of requests blocked, and ABP shows how many ads it blocks on each site, and in total. Both extensions allow you to see a dashboard to add filter lists and change settings. ABP has the nicer looking dashboard, and, allows you to contact them for user support. uBlock Origin doesn’t seem to have this feature. As we mentioned, uBlock Origin seems to have no user support, relying on Twitter and Reddit to solve issues. ABP appears to have active user support on Facebook, Twitter and by email. This is particularly useful for new users, and for people who notice issues on websites. ABP also allows you to report bugs to the development team. 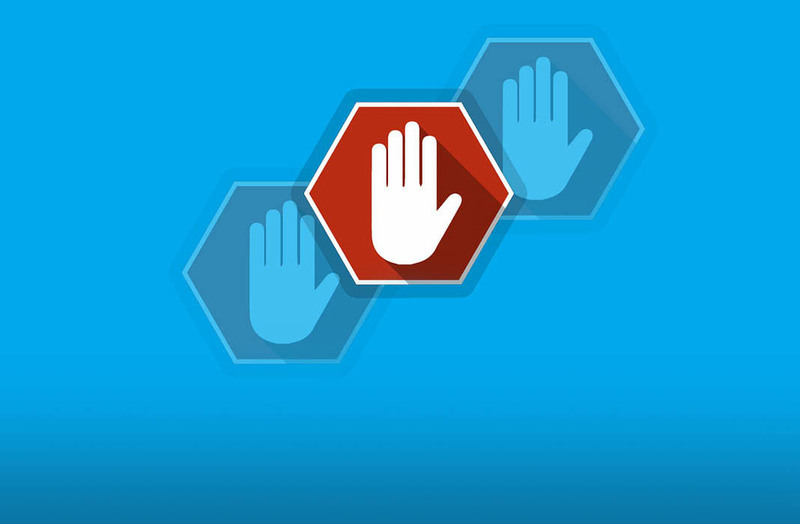 Ad blocking is a controversial topic. By blocking ads, you remove part of a publisher’s revenue. Understandably publishers are not on board with this. But, many court cases (against ABP) have deemed ad blocking to be legal. ABP, as the most-downloaded ad blocker, comes under more legal scrutiny than uBlock Origin. Thus, ABP tends to play by the rules. ABP does not remove paywalls or do anything else that could get ABP or its users into legal trouble. ABP also works with publishers to find new ways of supporting free websites, such as Acceptable Ads and Flattr. uBlock Origin doesn’t suffer the same legal scrutiny as ABP, so is able to play hard and fast with what it can block. This means, among other things removing paywalls (which are irritating as heck). However, the legality of this (and such, the legal impact on the user) is unknown. We can’t say which ad blocker is “better”, as ABP and uBlock Origin both exist to make your web experience much better. In the end it comes down to a philosophical choice for the user. 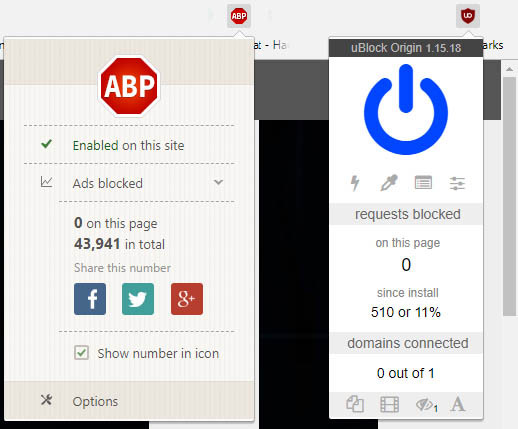 Adblock Plus doesn’t block as much as uBlock Origin out of the box. There are easy-to-use options to make it comparable. We see Acceptable Ads as a good compromise to improve your experience while supporting the free web. A helpful support team with contacts on social media allow you to solve problems quickly. From a legal standpoint, ABP has proven in court that what they do is legal. uBlock Origin blocks everything by default, in a fast and efficient manner. However, it doesn’t consider the legality of this, nor what will happen to the “free” internet when all advertising revenue is removed. There is no easy user support, and as such it’s not “newbie” friendly. This entire article is silently screaming to use AdBlock Plus. uBlock Origin is fundamentally and functionally better than AdBlock Plus, which white-lists known bad ad networks that they deem to be “acceptable” (even though they are not) such as Taboola. Also, they have been known to use social manipulation tactics in the past, such as “astroturfing” to gain people’s trust and make it look more propped up. In fact, I’m questioning the validity of this article itself. AdBlock Plus has also recently bought “uBlock” (not uBlock Origin, but the original project) in order to use it’s name to presumably confuse people to install uBlock, and not uBlock Origin. They of course deny this. I would advise against anyone to use AdBlock/AdBlock Plus, because of their questionable ethnics and actions.